The market for Private Schools in Houston is very competitive and the Independent School Entrance Exam, the ISEE, is an important part of the application process. By excelling on the ISEE, the student achieves an edge over the other students applying to the same school, very much like the SAT, ACT, or GRE. In our research and experience, we’ve discovered some tips and practices that will help the student succeed on the ISEE. 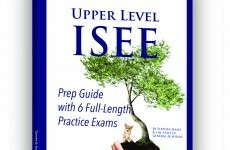 The ISEE is a timed test divided into Math, Verbal, Reading, and Essay sections. The Essay section is not graded, but it is sent to schools to which the student has applied and read by admissions officers. Calculators are not allowed, which means many students will have to get accustomed to performing complex arithmetic by hand. Only correct answers are scored. There is no penalty for guessing, so all questions should be answered. Consequently, eliminating answer choices is a very powerful tool regardless of section. Anytime guessing is necessary, the first step should be to eliminate answers known to be incorrect. 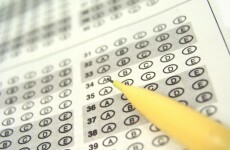 The same tricks that work on other standardized tests may be used on the ISEE. Substitution (in algebra and vocabulary) and elimination (on every question) are the most common tactics. Because each section is so short, it is also important to keep track of how much time is left. Many students lack confidence in their abilities, which can often be a self-fulfilling prophecy. They may hesitate and second-guess themselves, which not only wastes time but can result in giving up on a problem before truly attempting it. Reinforcement and encouragement can go a long way toward improving their scores both on this test and in school. With that in mind, going too fast may discourage them. When asked three questions in a row that the student simply doesn’t know how to do, the student may shut down. Pace them, be patient, and you will usually get good results. Math is the most systematic section of the test. A student who understands setting up word problems in algebraic terms will do very well, and developing that skill may be the most efficient use of time during sessions. Also, most students taking the test during 8th grade have not had much algebra in school yet, making this is a very high-benefit area of study. 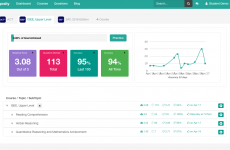 The comparison section of the test tends to give students trouble, because they have no experience with those types of problems. It is also important that students do problems by hand or even mentally. They may hesitate, but in my experience they surprise themselves with their abilities to do so if they are pushed. Understanding fractions, decimals, and percentages, and how they relate to each other. Ratios also tie into this. There will be problems asking for things like the percentage increase in area when a triangle’s base is doubled (the new area is 200% of the original, for a 100% increase). Substitution is especially useful for these problems. Order of operations. This is especially common in the comparison section, where quantity A will be 7(1+3) and quantity B will be 7*1+3 (quantity A is 28 and quantity B is 10, so A is bigger). Exponents may pop up too: 2^2 + 2^2 vs. 2^3 * 2^1 (8 and 16, respectively). There will probably only be one or two questions on this, but probability seems to come up on every test. For some questions making a list is fine, but teaching probability using examples of cards (what are the odds of drawing two kings in a row?) or marbles of different colors (2 red marbles, 3 yellow, and 4 green; what are the odds of drawing a green marble?) will probably account for one or two more correct answers on the test. The most important thing to study for this section is vocabulary. I recommend that the student make flash cards, because this process itself is a way of studying. The process of making flash cards is a very lengthy one, and requires considerable discipline on the student’s part. Given enough time, it is a good idea to break up the vocabulary words into sections; 100 cards per week, for example. It is important that the student make the flashcards, rather than the parents – it guarantees the student sees the word and definition at least once. Use a technique called “word webs” to figure out a word when the definition is unknown. Let’s say the student needs to figure out what “apathy” is. The first step is to identify the word’s components: “a-” and “-pathy.” Then, think of other words with similar roots, such as “sympathy” or “atheist.” “Sympathy” has to do with feeling, and “atheist” means lacking religious belief. Therefore, “apathy” probably means “lacking feeling.” This can be a powerful strategy, especially if the student is familiar with roots of words (a list of these can be found in the book). Another important technique is to figure out the context of the word. One example is “abominable.” Even if the definition of “abominable” is unknown, one may associate it with “abominable snowman,” which is supposed to be a scary creature. Going down the list of possible answers, this hint can help eliminate choices. This section is the hardest to study for, but there are some general tips that can help. It is important that students understand they do not need to read the entire passage; in fact, it is almost never necessary. The first and last paragraphs should be a sufficient starting point, and skimming through the middle looking for key phrases can help too. At this point, it should be clear what the main idea and author’s intent are, and that alone usually enables the student to answer several questions relating to that passage. After looking over the questions, the student can look more closely at the passage and get only the information needed. Pacing on this section is crucial, since there is only about 1 minute per question, and streamlining the reading process is the easiest way to save time. Another practice to get the student accustomed to reading is to assign the student one article (or more) every week. The idea is that this practice will increase reading speed and train grammar and vocabulary skills. Also, ask the student to give a summary, usually verbal, to train their story-telling skills for the essay. Students in 8th grade may not have experience writing timed essays. They should learn to do an outline before anything else; this format will serve them well all the way through college. All practice essays should be handwritten. Legibility is important, as is fast handwriting. Many students use computers to type their essays, so practice beforehand is crucial, even though the essay is not graded. Computers also mean spell (and grammar) check. Let the student proof-read his/her essays and figure out what he/she did wrong. Often, the student will watch out for those particular mistakes in the future. 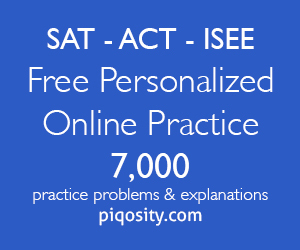 Preparing for the ISEE is no different from preparing for the SAT or any other standardized tests. One of the most important strategies for preparation and familiarizing the student with the format of the ISEE is practice. Have the student practice sets of problems from practice tests on a regular basis. The more the student practices, the more aware the student will be about how much time is being spent on each question. It is not necessary to start the student off right away on timed practices. 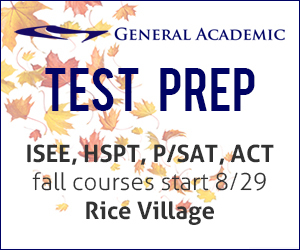 However, as the test date gets closer, it will be important to practice within the time limits so that the student does not go into panic mode on the actual test.